Photo of 5 people packing large boxes/or crates. Photo taken outdoors. Background barracks and mountain can be seen. 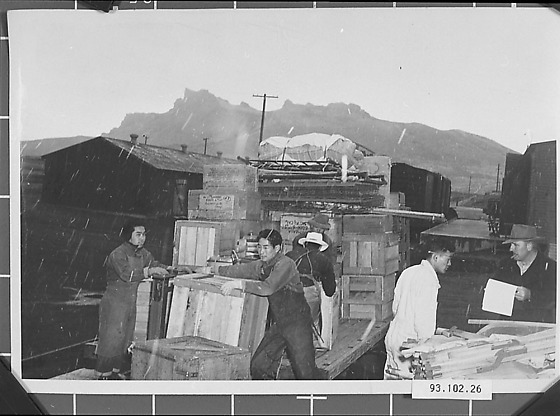 Internees pack up and load their belongings on a truck in preparation to leave Tule Lake. The workers for the Internee's Property Office who stack the crates to ship out. Circa 1945.